Imagine having an extraordinary resource to help you fine tune every detail of your event. We’ll provide you with a dedicated Event Services Manager who will be by your side every step of the way. As your single point of contact, your Event Services Manager is your dedicated liaison to all of our Services Teams and will orchestrate and execute every aspect of your event from the ground up. From our first meeting, we’ll begin a partnership that ensures the flawless execution for overall event success and together we will imagine, design, and transform your ideas into a remarkable experience. Develop a customized Event Workbook with you that will put every detail of your event plan at your fingertips. Oversee the logistics for venue-related event services such as internet, electrical, phone, security, and cleaning. Conduct operational site visits to maximize and customize your use of our venue. Present our unique services to foster increased engagement and revenue for your event, including our Digital Display Opportunities and Transportation Services. 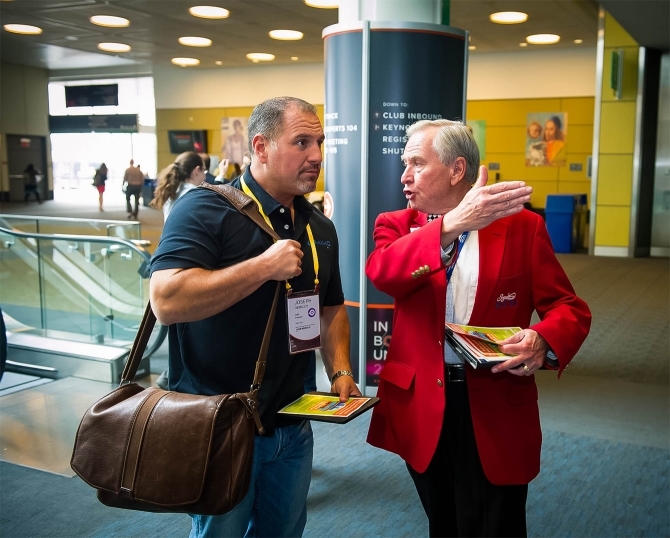 Schedule a pre-convention meeting with your dedicated Signature Boston team. Provide on-site assistance throughout your event. Our award-winning staff of on-site, network-certified IT professionals is available 24/7 to manage all of your technological needs. Your dedicated IT manager will walk you through all of our technology capabilities and help you to develop and implement a superior technology plan. For Levy Restaurants, the exclusive food and beverage provider for both the BCEC and the Hynes, it’s all about the food and the thousand details that surround it. 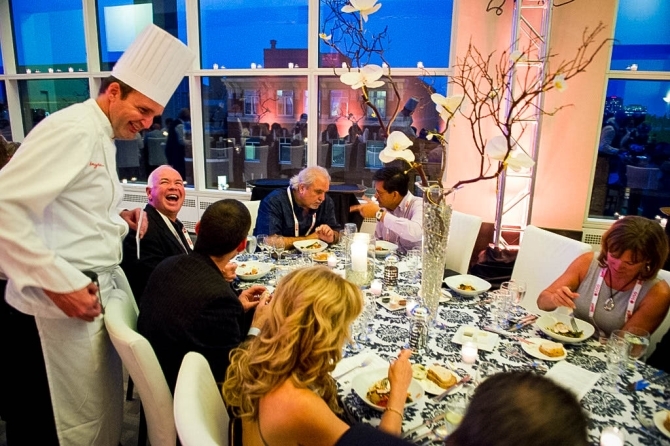 Whether you’re hosting an event for 10 or 10,000+, our innovative executive chefs and their teams are always eager to customize something new from our creative menus to surprise and delight your guests. Trust the locals: We know the best routes around Boston to your event at the BCEC and Hynes and beyond. 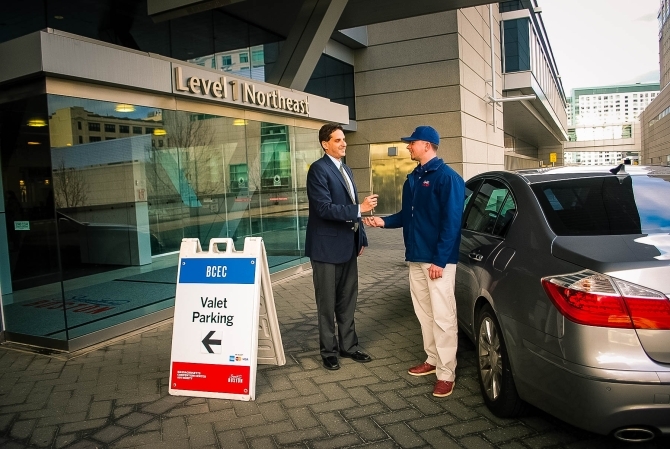 Go ahead and make big plans, you can trust our Transportation professionals to deliver reliable, efficient service, and hospitality to your guests. Great experiences start with your peace of mind. 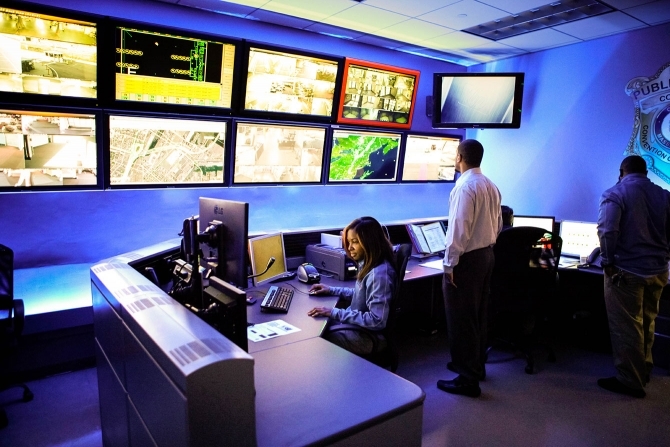 Our Public Safety team supports your most ambitious plans by maintaining a safe and secure environment in our facilities and delivering excellent customer service to your clients, exhibitors, and guests. We make it easy to create rich dynamic experiences that will delight your audience, provide real time information, and generate revenues for your event. 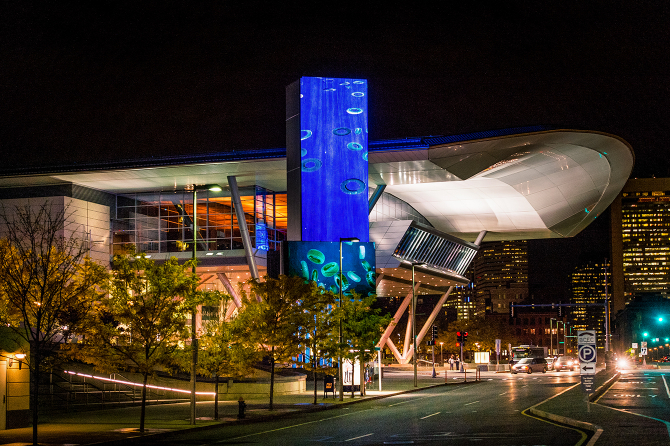 Our stunning 80-foot Marquee and 160-foot Video Wall at the BCEC, along with our robust digital signage network throughout the BCEC and the Hynes, are all designed to enhance your event, promote your brand and highlight sponsors and exhibitors. 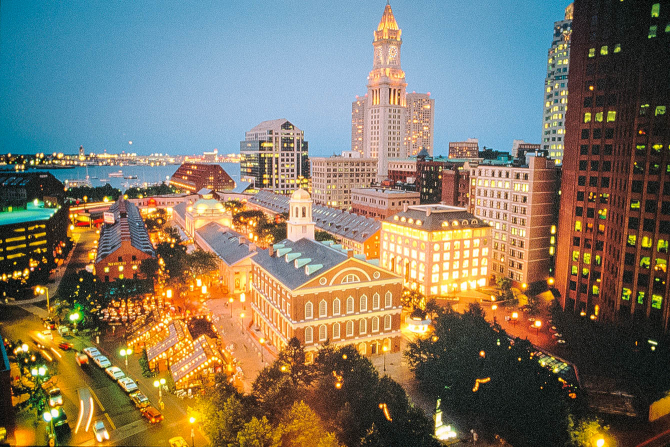 The award-winning Greater Boston Convention & Visitors Bureau (GBCVB) can save you valuable time and money in locating important city services for your event. 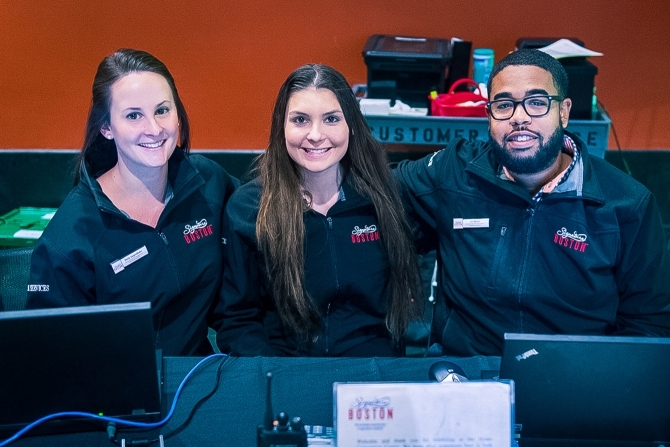 From lead services to accessing special event permits, our Destination Services Managers provide superior expertise and knowledge of the City of Boston and surrounding areas. Our Exhibitor Services Team is an invaluable resource, before and during the event, to assist your exhibitors with transforming their ideas into an unforgettable experience. We can provide the service, technology, and resources that will help make this event the ultimate success. Boston is committed to providing the best customer service of any convention center in the country. 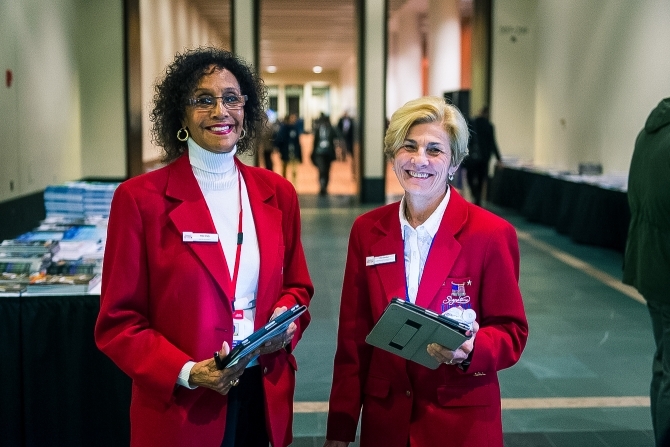 Whether it’s our highly visible, “Red Coats” Guest Services Ambassadors or our electronic attendee surveys, we have a wide array of complimentary offerings to ensure your guests have the best possible experience. In our Meeting Planner Toolkit you will find the resources you need to create a truly exceptional event including marketing and creative materials, destination resources, and planning guides.